Another dominant day on the mat has catapulted New Caledonia into top spot on the Pacific Mini Games medal tally. The men's final between Vanuatu and Fiji is down to the deciding doubles match, which will now take place this morning following extended rain. 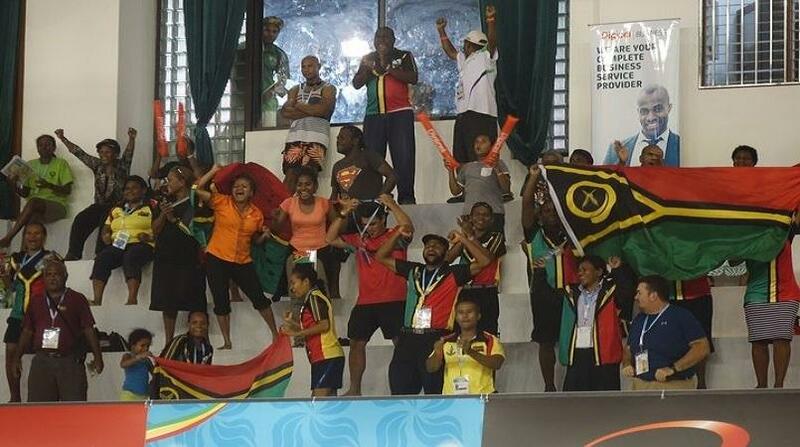 Papua New Guinea and Samoa remain on 14 and 13 gold medals respectively after having to settle for silvers and bronze on Friday. Meanwhile Vanuatu is up to fifth overall, behind Fiji, after Yoshua Shing and Anolyn Lulu claimed mixed doubles gold in table tennis, beating compatriots Ham Lulu and Priscilla Tommy. Table tennis and karate wrap up on Saturday, along with golf, while the rugby sevens champions and World Cup qualifiers will also be decided.